I have always been a fan of anything related to science. I am attracted to the way science has been helpful in exploring the universe and giving answers to some really difficult problems. That’s the reason that I’m inspired by Stephen Hawking. His whole life evolves around science, physics and cosmology, which itself is a subject full of curiosity. Ever since the world came into existence, people have been trying to explore if there are other galaxies and worlds. Stephen Hawking is one of them. He has always been curious about parallel universes and other worlds and that’s why he did a vast research work in this field. He proposed several theories about black holes and also predicted that black holes emit radiations. 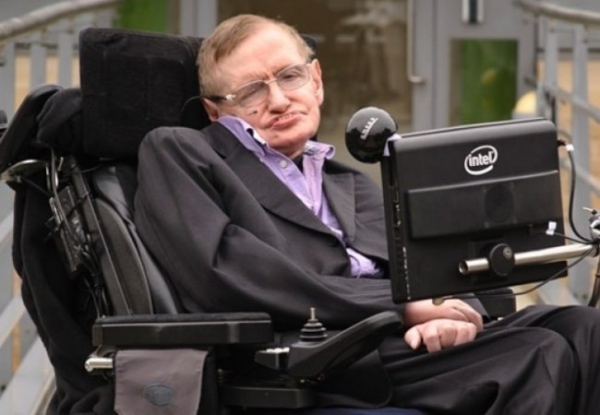 Hawking also wrote books based on his scientific research work. “A brief history of time” is one of his famous books. Some of his books were later made into a movie. He suffers from ALS. In early years of his life, he started feeling clumsiness and would fall on his college stairs. His speech also got slurred time by time and the condition got worsened. He was diagnosed with ALS and was given a life expectancy of two years. He fought through every health challenge bravely and wanted to be a role model for others like him. He now remains on his wheelchair and uses a computer to interpret his words. Nothing could stop him from being a genius who he really is. We were all born with curiosity in our veins and people like Stephen Hawking are the ones who can answer all our questions theoretically.